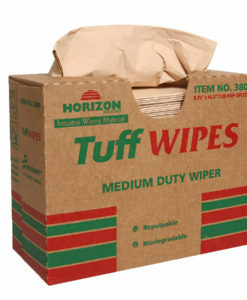 Horizon’s 4-Ply Multi-Purpose Tuff Wipes offer superior durability with their textured side for enhanced cleaning power. These Tuff Wipes are good for the economy as well as your kitchen. Count of the Tuff Wipes to be the ideal wiper for the food industry including restaurants, cafeteria’s and canteens.